Please join Professors Lullo, Humphreys, Hoefler, Schubert and Fratantuono for a brown bag lunch session of the TCWW as they discuss how and why they incorporated video projects into their courses. • Why did you decide to include a video project in your class? • How did this project lend itself to the learning goals of your class? • Did the video project augment or replace an existing project? • Was the project modeled after a project you saw elsewhere? • What was the level of effort required by both you and your students? • How did you assess the video project? The presenters have experience with incorporating a variety of video genres such as promotional videos, video blogs, interviews/documentaries, video mini-lectures and video demonstrations. Please bring a lunch and join us for what promises to be a lively discussion. Policy & Management Senior Seminar students compose DVDs for non-profit organizations in the local community. Using narration over images. Created using IMovie & series of images from Trout Gallery of Creative Commons files. Students were each assigned a piece of Asian Art held by the college’s Trout Gallery and used the Ken Burns effect to display images of the piece while telling the story of it’s history. Dan’s students work with AIDS organizations to record oral histories from people who are HIV positive. They then compile these into a final production to give back to the AIDS organizations they partnered with. 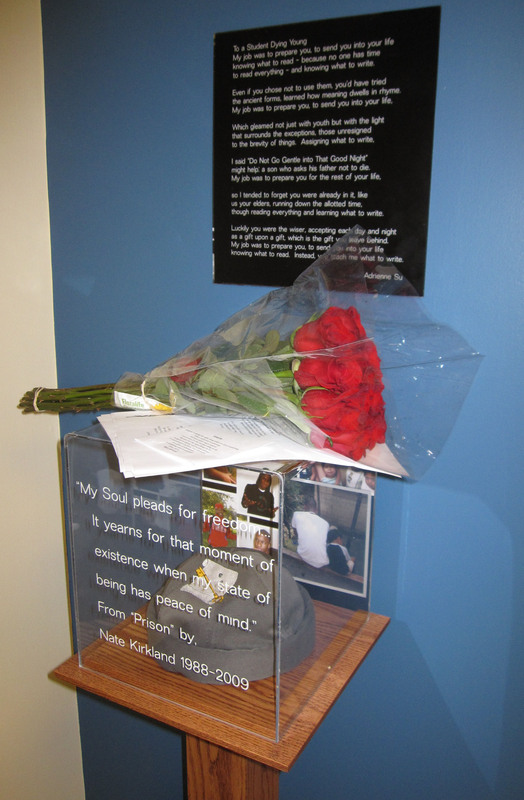 The Media Center has a small memorial to Nate Kirkland who was a student here at Dickinson and was tragically taken from us during a Service Learning trip to Guatemala in early 2009. He was passionate about filmmaking and had an infectious smile that would most definitely brighten your day. Although the memorial is there to help remember Nate, people often pass by it without taking much notice as they rush to and from classes. 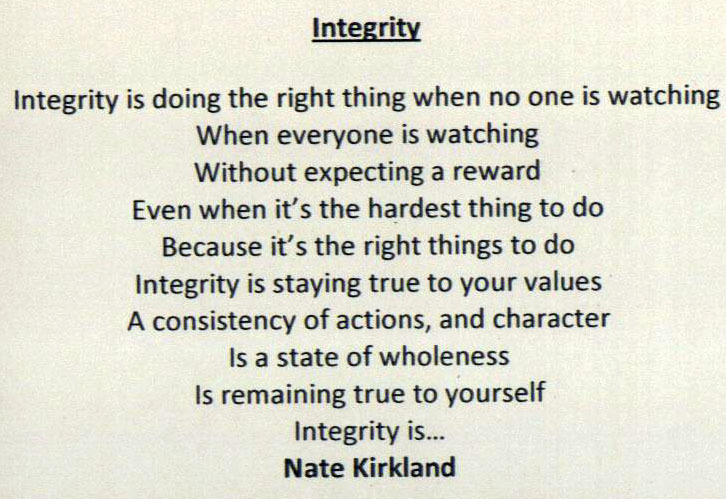 We hope that people who didn’t know Nate, take the time to read a little about him and hopefully find inspiration in the way he lived his life, as he was always trying to make the world a better place. Today, I walked by the memorial and found someone was kind enough to leave flowers, a note & a poem. It warmed my heart and saddened me all at the same time. It made me think that the media center hasn’t promoted Nate’s work the way we should so here are some samples of what he created during the short period of time we were graced with his presence. The following are the poem & note that were left and it should inspire us all.